Product #21180 | SKU 041128 | 0.0 (no ratings yet) Thanks for your rating! Supports Shotgun Mics up to 10-inches in Length. 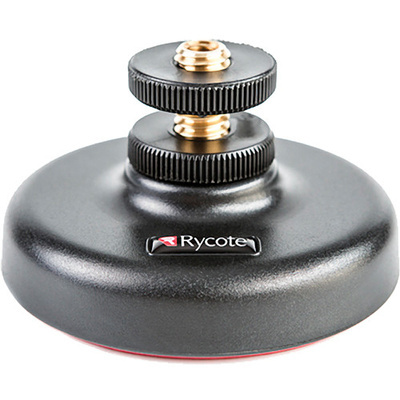 The Table Stand from Rycote allows you to place a microphone or recorder on a flat surface for hands-free operation. It features a 3/8-inch screw thread and a 2.7-inch diameter, and can support shotgun mics up to 10-inches in length.